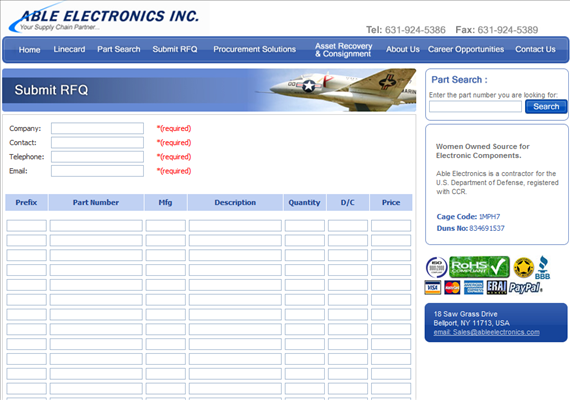 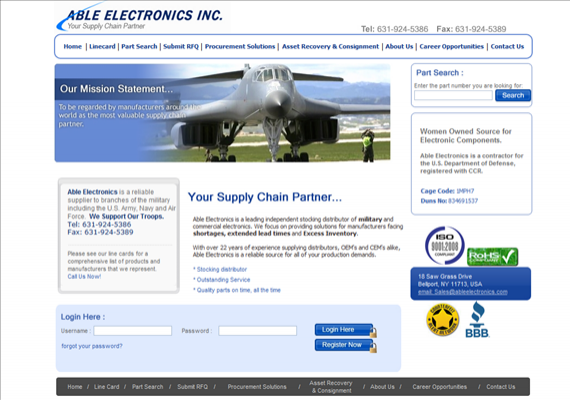 Able Electronics is an ongoing project that has blossomed from an informational website to a web application in which their customers can search, view, and purchase parts from multiple inventory sources. 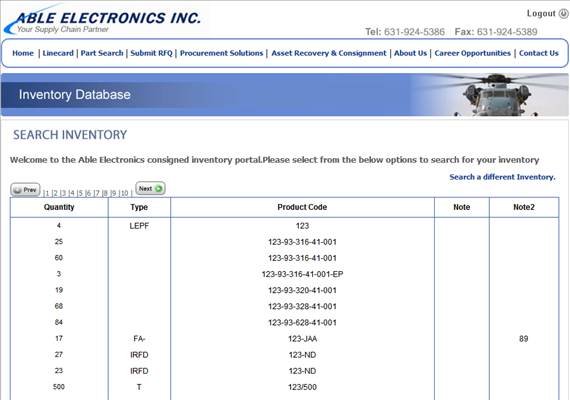 In a highly competitive industry, the high availability and visibility of inventory gives Able a clear advantage. 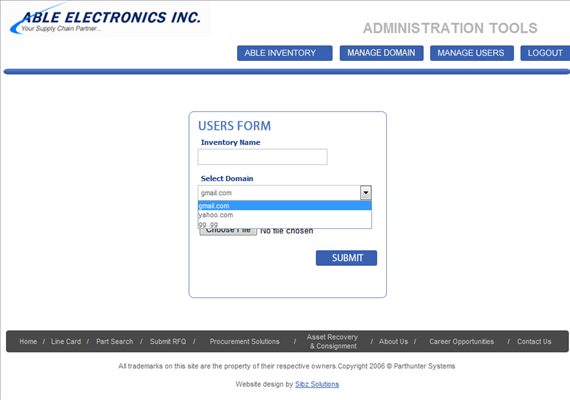 This site allows for the administrator to manage users by company and creation of new user groups to manage inventory independently.